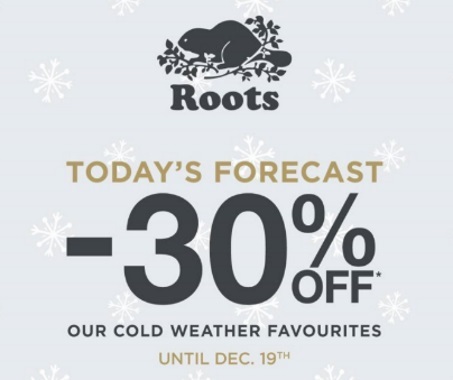 Roots is offering 30% off cold weather favourites on now! This sale includes salt & pepper + black pepper sweats, outerwear and winter accessories! Offer is valid in-store and online until December 19, 2016.